Employment in the South Okanagan is limited as to which sectors are available. Britco is one of the largest production industries in the area and the plant manager is a member of the South Okanagan/Similkameen Local Immigration partnership. Julie Read, the Human Resource Industrialist from Britco came in to give an overview of the company and how to apply for positions that the company has to offer. She explained what is involved in the hiring process and which transferable skill set is needed for their company. Britco is one of the companies on our website with a link to current available positions. Clients frequently approach SOICS requesting study help for official exams, particularly those taking IELTS. Now that SOICS is hosting IELTS in the Penticton office, there have been more requests than usual. So when a researcher from UBCO approached us to host an exam-writing workshop, we seized the opportunity. Scott Douglas is an assistant professor in the Faculty of Education at UBC’s Okanagan campus, and his area of specialty is Teaching English as an Additional Language. He is currently doing a research project investigating the vocabulary test-takers use on the writing portion of an official exam and needs participants for whom English is not their first language to complete an exam level writing activity. Once they have completed the piece of writing, these are taken and marked and the breadth of vocabulary elicited by the writing tasks across LINC levels and the relationship with levels of performance assessed. On October 13th, Scott came to SOICS to administer the workshop. 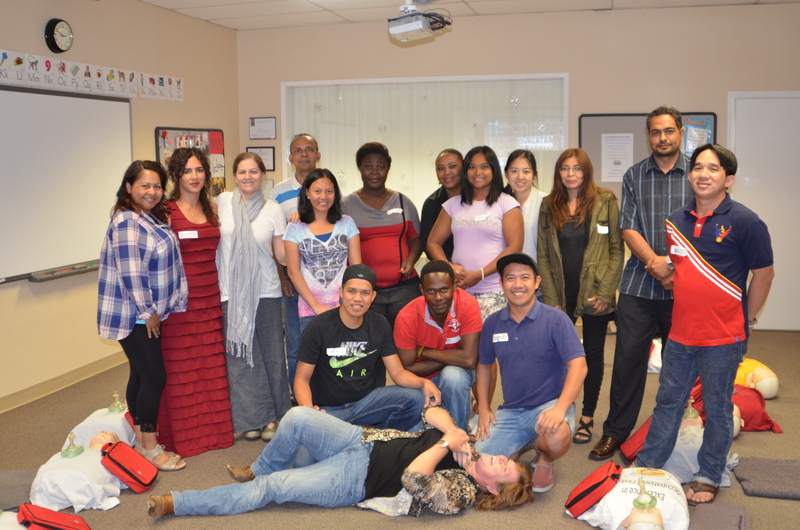 Eight clients attended, many who are taking their IELTS exam in November. They were happy to have the opportunity to practice their writing skills in a controlled environment. When the exam has been marked, the attendees will be provided with feedback on their vocabulary and writing performance, referencing their level to Canadian Language Benchmarks. Our LINC teachers will also receive more generalized and non-identifying information regarding the written vocabulary of the participants and their accompanying writing levels, which will be useful for them. This was a very valuable experience for our clients and we look forward to further opportunities that Scott may have to offer us. Integration into a new culture is as much about building self esteem as anything else. To “start all over again” can be a daunting experience and for many newcomers, this is what they have to do. Our aim is to equip our clients with as many tools as possible to give them the information and added confidence they need to enhance their lives in Canada. With this in mind, we ask St John’s Ambulance to come and train our clients for the Occupational First Aid for Industry (OFA Level 1 Equivalent). This course meets the first aid requirements for Canada Labour Code Basic and Standard First Aid, Emergency Child and Adult Care facilities, Corrections Canada, and Marine Basic First Aid. On successful completion of the course participants receive a Standard for Industry with CPR-C certificate valid for 3 years plus a CPR-ABC-AED certificate. The course comprises of continuous assessment throughout the training and a test at the end. The test is available in Punjabi, Chinese, Vietnamese, French, Korean and Spanish, but more often that not, the clients opt to take it in English. The course is always fun and an opportunity to network. Also participants leave with another Canadian credential and more confidence about their abilities than they came in with. In this way, they will be able to apply for better positions in the work force and may even decide to do more training now that they have had a taste of what is involved. 57 clients from 24 countries have participated in this course. Hospitality is a major employment sector of the South Okanagan. Consequently, many of our clients seek employment in this field. As a result the FoodSafe certificate is a vital credential for them to obtain and it was identified that there was a need to help clients obtain it. 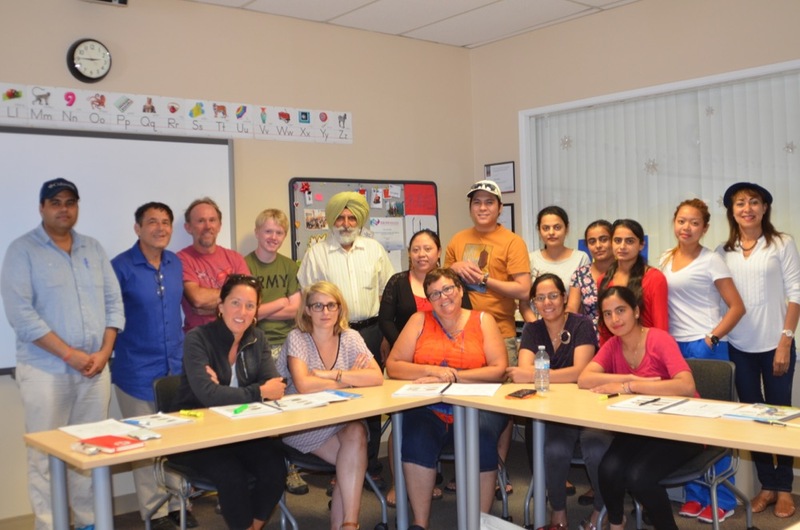 The FoodSafe exam can be taken in English, French, Punjabi, Chinese, Arabic, Korean, Spanish, Vietnamese, Farsi, Japanese and Tagalog, although the course is administered in English. Our facilitator was carefully chosen because she has ESL experience and more often than not clients opt to take the test in English as she presents the material so well that they have the confidence to do so. We also divide the training over two days, so that participants can read the material in between and confirm their understanding – two 3-hour sessions are better than one 6-hour session in a language that is not your own. So far 118 participants from 31 countries have received their FoodSafe level 1 at SOICS. Participants from these sessions now have the opportunity to obtain better jobs and also be vendors in the market or for local events. The hospitality industry is one of the most prominent in this area. The majority of our clients are employed in the hospitality industry. An employer from the Ramada Hotel came in to share information on hiring process at their hotel. She brought with her some valuable information on what the hiring team looks for when selecting and interviewing potential employees. She explained the application forms and the probationary periods upon hire. Applicants must successfully complete the Ramada interview process to receive hiring consideration from the hotel chain. One of the attendees at the workshop had her resume with her and was actually given a job on the spot while one of the attendees referred three of his friends who also got jobs. There are many different scholarships and bursaries available to those who wish to continue their education, many of which never get claimed. We discovered that the majority of students we have contact with were unaware of how to access this information. So we delivered a workshop where we informed eligible students of the existence of scholarships and how to obtain that information. This workshop was very popular and attendees requested more information. So a second workshop was held detailing how to actually apply for the scholarships and the various steps involved. Serving It Right (SIR) is British Columbia’s mandatory online, interactive self-study course that educates licensees, managers and servers about their legal responsibilities when serving alcohol, and provides effective tips and techniques to help them carry out their duties effectively. In September 2015, changes to the SIR requirements were brought into effect and a lot of people who were previously exempt are now required to obtain the certification. Essentially anybody who is selling alcohol under any circumstances and has no certification to do so needs to take this course, which ranges from restaurant workers to flight attendants. As the Service Industry is such a major employment component in the South Okanagan and the majority of those serve alcohol, many of our clients need to obtain the Serving It Right certificate in order to gain employment. This is no easy feat. There is no time limit to the course, but at the end of the course there is a multiple-choice exam. The exam consists of 30 questions and those taking the course are required to get 24 correct (80%) in order to pass. This course is currently only offered in English. In order to give our clients another asset in their job search, which would open them to more opportunities, we offer it at our SOICS office as a workshop. In this way, clients could confirm their understanding of what is being taught, as they do the course and then will stand a much better chance of passing the SIR exam and obtaining the certificate. 10 clients from 7 countries have participated in this course. 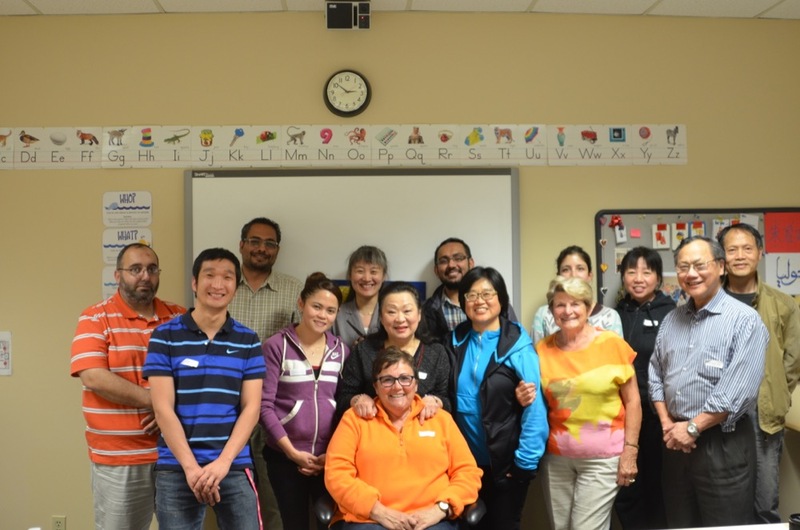 In November the LINC classes were offered an exciting opportunity to be part of a province-wide survey of ESL learners. We partnered with UBC Okanagan on their study of Newcomers business writing in English and their inclusion of idioms or special expressions. The survey was conducted by Terri Everest, a UBC-O PhD student who is writing her thesis in Interdisciplinary Graduate Studies. In 2014, she conducted a pilot study at a BC college on learners’ job application cover letter writing. I would like to conduct the study province-wide and invited LINC learners to participate. Terri is also a long-time ESL/EFL teacher who has been teaching in Canada, Asia, and the Middle East. The research study seeks to determine how learners and newcomers differ in using collocations (semi-fixed phrases). Correct, semi-correct, and incorrect uses will be identified, as will potential causes of common errors. The study also aims to identify which collocations are most frequently used, where they are used, and what their communicative functions are. She hopes that her research will help to improve employment opportunities for immigrants, since immigrants are more frequently underemployed or unemployed than people born in Canada. Terri asked our students to answer some demographic questions and write job application cover letters. The students who participated in the research survey received a five-dollar Tim Horton’s gift card and also received feedback on their cover letters and offered to expand on it if desired. Learners were also encouraged to write second drafts and use them as a base for real job applications. Terri’s feedback was very helpful and the classes used it as they continued to learn about writing cover letters and resumes for the Canadian job market. The LINC classes and Medical English preparation course participants participated the in research project by providing cover letter samples to UBCO. The timing of the student participation and feedback was very fortuitous for some. Several of the LINC and Medical English students were in the process of putting their resumes and cover letters together to apply for new jobs. The students benefited from their participation by receiving feedback from the university on their writing and learned more about useful phrases to use in workplace writing. The feedback that they received from the survey aided them in honing their cover letter and making it more professional. Moreover, those students that consented have also allowed for their writing to be used by other researchers at UBCO, which could further provide insight into newcomer writing practices in other areas. Overall, it was a satisfying experience for all involved. It came to our attention that the Workplace Hazardous Materials Information System (WHMIS) certification is needed for any employee who works with controlled substances. These jobs range from cleaners/janitors, to healthcare to office workers-basically anybody who may come into contact with potentially hazardous materials, which includes cleaning products. WHMIS is Canada’s national communication standard and because they are bringing the classification and communication requirements in line with the US and other Canadian trading partners, WHMIS is going through a period of change from WHMIS 1988 to WHMIS 2015 as they change to the Globally Harmonized System of Classification and Labeling for chemicals (GHS). The training for the certification involves understanding hazard classifications, labeling and about safety data sheets (SDSs). The language is quite specific and so we found an online course for WHMIS 2015, so that we could give eligible clients the opportunity to come in and work through the course with our help. At the end of the course is an exam and if clients obtain 80% or higher, they receive a certificate. To date, 100 clients from 27 countries have participated in this course. For our clients, not only do they value the opportunity of gaining the WHMIS certificate, but they are also doing the course in English, which is boosting their self-esteem.